Bring a touch of sonic madness and chaos to your tracks with this octet of creativity-provoking techniques, from sampler acrobatics and databending to processing trickery, bitcrushing and more. For more on applying glitch production ideas, grab Future Music 290, which is on sale now. By looping a small section of a sample in your sampler, then automating or modulating the loop's start and end points, you'll realise a myriad of customisable electro-glitches and buzzing timbres. Pitched turntable stops, extreme pitchshifting and unorthodox rolling effects are also easily achieved via the wealth of features your sampler has to offer. Automate multiple parameters to introduce even more interest. Ever encountered unexpected audio glitches, digital clipping, plugin pops/clicks or other malfunctioning errors? 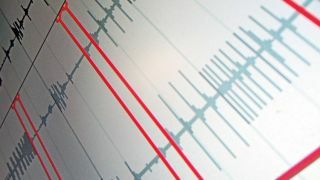 If you're after authentic glitch noises and tones, prepare for these sonic mishaps and be ready to record them through your audio interface (or using real-time recording software) - you never know what could become your next hi-hat or synth tone. You can encourage these glitches through experimental patch-cabling and studio rewiring mishaps - failing cables and broken gear are your friends! Many DAWs now offer some kind of 'comping' feature, traditionally used to compile the best vocal passages from a multitude of takes. Use this function to collate the results of lengthy glitch-tweaking sessions. If your host doesn't have dedicated vocal comping tools, simply stack up your glitch renders on separate audio tracks, cut them up, then use the 'mute' tool to silence the unwanted segments. While there are plenty of useful multi-effect plugins available, any producer with an internet connection can access the exact same software and presets, meaning the release of an epic new effect plugin is often succeeded by a wave of homogenous, cookie-cutter glitch edits and fills. Go against the grain and build up your own custom 'glitch' chains of effects - or even entire project templates - instead, primed to propagate dazzling (and bespoke) results. Plus, if your plugins allow, hook up multiple parameters to single macro controls and get tweaking. An infinite universe of oddball sounds can be generated by opening media files in the 'wrong' software - a process known as databending. By loading non-audio files into an audio editing program as raw data, the software attempts to interpret the data and creates unpredictable noise bursts, scratches, glitches and weirdness as a resultt. Remember to render your favourite new creations out to your sample folder. Reverb is an effect that responds well to abnormal glitching techniques. When we hear the initial portion of a long reverb signal, our brain naturally expects the tail to decay over a certain period of time. Breaking this expectation by cutting a reverb tail off to silence triggers a stark psychoacoustic response, for a distinctly unnatural effect. Try combining extended reverb tails with staccato sections for contrast. The complexity of fast glitch effects makes them outlandishly impressive, leading novice producers to stuff their projects with excessive buzzes, rolls, scratches and stutters. Exercise restraint and save the most complex effects for when your track really needs them, otherwise your flashy hyper-edits will quickly lose their impact. Remember, less is more. Nothing touches the humble bitcrusher when it comes to emulating the sonic degradation of hardware samplers and malfunctioning digital gear. Subdued application adds a subtle, lo-fi vibe to pristine sounds; more heavy-handed quantities reduce signals to a nasty fuzz. Bit-depth and sample-rate reduction effects are especially effective sequenced within beat divisions over a drum loop: for example, you can target a groove's snare in isolation with extreme bitcrushing while leaving other elements untouched. Automating a bitcrusher's parameters over short time periods can also coax out glitch-style crushed drums and noise snippets.